A creative mind can transform the stump of a tree into something nice. Unfortunately, many people think that a stump is only a distraction from a beautiful landscape. A tree stump can add more beauty to your landscape but when it becomes a house for pests that is when you should consider stump grinding. However, stump grinding is difficult, so you should not attempt to do it on your own. Why not entrust the job to us instead? Our skilled arborists know everything about stump grinding and removal. It will be a pleasure for us if you let our team help you in this matter. Each one of us knows that the tree roots’ complexity, the species of a tree, its age, and the stump’s location can make the stump grinding process more difficult. But since we have the experience, we can always take and finish every job, regardless of its complexity. 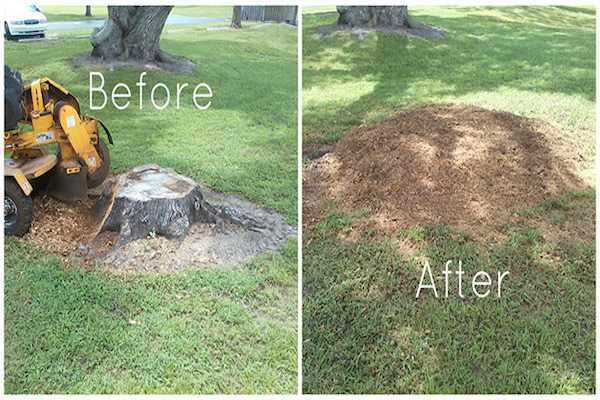 We offer professional and affordable stump grinding services - call today for a free estimate. A tree stump can be removed in two ways. First, we can pull the stump from the ground with its roots. Second, we may grind it underneath the ground and covered it with grass and soil. The second option is the best choice for most business owners and homeowners today because it is less dangerous to a landscape. Stump grinding is a messy task as it produces more dust and debris. But, Hawthorne’s Tree Service Lakeland FL will guarantee you a diligent service and a systematic cleanup. It means we will beautify your landscape before we leave. On the scheduled date for the job, we will arrive in two hours or less. We will arrive at your property armed with the needed equipment so we can start the job straightforward. We will get rid of debris with a shovel and a rake. Once cleaned, we will cut the stump using a chainsaw then our grinder will sit on the top of the residual stump to crush it completely. This machine has sharp cutting blades that can move back and forth all over the stump. 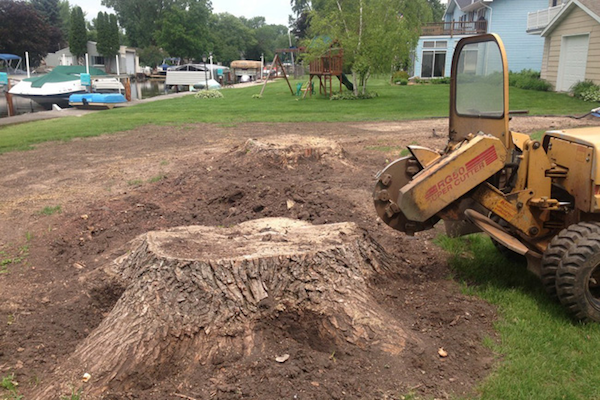 Our job is finished when the residual stump is only three to six inches under the surface. The mess produced by the process such as dust, dirt, and wood chips will be removed, and we will conceal the stump by using grass or soil. Likewise, we will make sure that the result of our work will not affect the beauty and style of your landscape. The process of stump grinding can take an hour or longer. The length of time we need for this process will depend on the species of a tree and its size, but we typically spend 30 to 90 minutes to finish it. 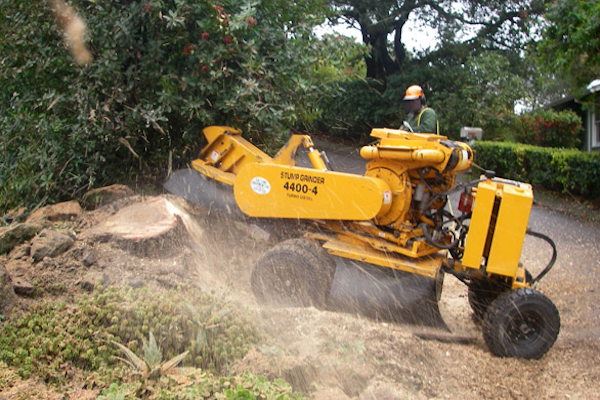 Stump grinding requires heavy machines, and we prefer advanced machines like Morbark grinders that can cause little to no impact on your landscape. With that, the job site will regain its natural look in just a few days. We guarantee this to you! We can also work on two or more stumps as well. For those cases, we offer a multi-stump discount as we believe that stump grinding should not be expensive. Get in touch with us today to know more.